Choose your Final Equipment and Enjoy Fall 2018 Afloat. Buy now and Save! 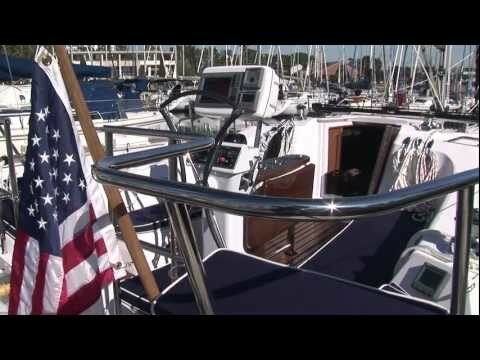 Purchase a 2019 Catalina 355 at 2018 pricing. 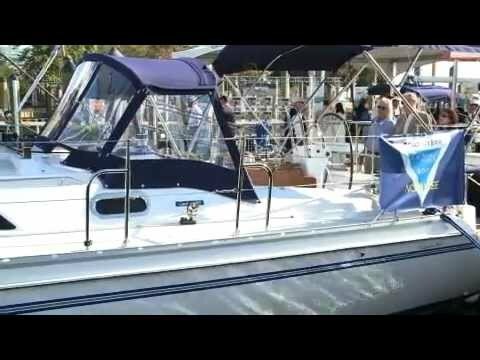 Catalina 355, a new hull design with a long waterline, moderate beam and freeboard, and a handsome low-profile cabin structure. Everywhere you look on the 355, you'll find features that make sailing for the day or for extended periods a pure pleasure. Precise mainsail control is a snap with a 5' long traveler. Long, inboard genoa tracks accommodate headsails from a powerful 155% genoa to a storm jib, allowing a balanced sail plan for all wind conditions. The inboard shrouds and hardware facilitates tighter sheeting angles for upwind performance, and wide, unobstructed weather decks for safety. Some features inspired by her predecessor are an articulating forward berth with innerspring mattress, a dedicated filter locker, large cockpit locker with gull wing hatch and available quad-leaf folding table. The 355 is fast and comfortable with qualities proven in its pedigree that are sure to win you over. Doger, Bimini & Connector - Sunbrella "Smoke"
Large ice box w/DC refrigeration, shelves & top and front access. Ample storage in lockers, drawers and bins. Deep secure coamings and seats long enough for sleeping hightlight the cockpit. Wide weather decks, 27" tall life lines and inboard shrouds make for secure movement. A cavernous lazarette is to port in the cockpit. Storage large enough to stow a bicycle or dinghy. Canvas Color is Sunbrella "Smoke"
Single lever engine controls on custom binnacle.